A maintenance worker’s worst nightmare came to pass at a San Jose elementary school swim club on June 14, 2018. At least 35 people were contaminated and treated by emergency personnel at Shadow Brook Elementary after a facilities employee accidentally created highly dangerous chlorine gas while performing upkeep on the pool Thursday morning. 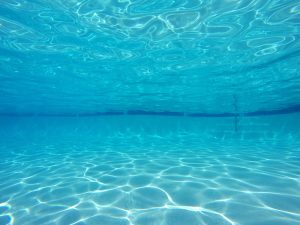 The gas was possibly created in the pool by an accidental crossing of muriatic acid (a common PH balancer in swimming pools) and bleach, although current reports are unclear on the exact mixture or nature of the maintenance worker’s mistake. Witnesses and swimmers realized something was wrong around noon when pool goers started to cough and feel nauseated. The chlorine gas was causing fluid to build up in the lungs of the dozens affected, mostly children aged 10 up to the late teens. There were no casualties and seemingly no serious injuries, though all patients were brought to nearby hospitals for further treatment and observation after decontamination by emergency services. A few lessons should be learned from this scary and unsettling mistake, but chief of them might be the importance of OSHA hazmat training. 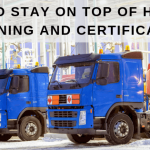 There are a few different courses for hazardous materials training, with material tailored to the worker’s role in transporting, handling, or supervising. 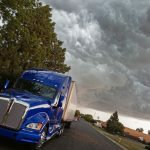 For example, a common HAZMAT training course is HM 181, but this is a course more tailored towards transportation workers who move over three billion tons of hazardous materials every year — well over half of which is gasoline and a few other flammable liquids. A course like HM 181 is not necessarily appropriate for a school maintenance worker. 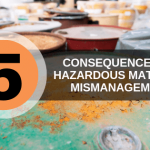 But under OSHA training, most maintenance and facilities employees in K-12 public schools in the U.S. undergo hazwoper training or hazmat training and the corresponding annual refresher courses. Schools are considered “generators of hazardous wastes”, so training may specifically be tailored towards ‘generators’ too. This training allows maintenance workers to be confident and knowledgeable about handling hazardous waste and maintenance materials from school labs, cleaning closets — and yes, even the school swimming pool. The hopeful assumption is that this San Jose maintenance worker was up to date on OSHA hazmat training, although this could be inaccurate. Tragedy was avoided for this incident, but the story should serve as a crucial reminder to school personnel to faithfully get their training updated before a truly awful mistake is made.